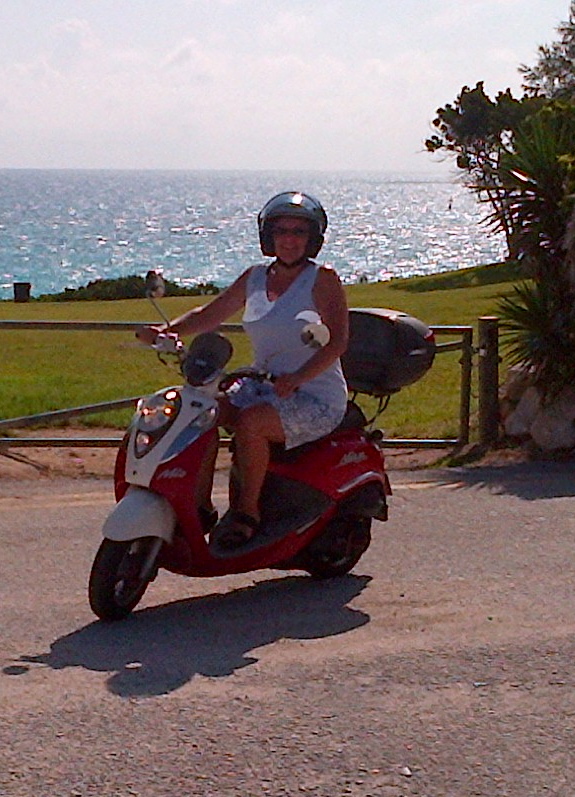 The other day, I was riding my scooter along Harbour Road, a winding, narrow road across the harbour from Hamilton. On one of its many bends, a poinciana tree with its brilliant orange blooms caught my interest, and in the brief second that I turned my attention to the tree, my bike headed right for it. Fortunately, I was able to correct my direction as quickly as it had changed and I continued on my way without mishap. But this swerve reminded me of some advice I was given when I was first learning to ride a scooter: Always look ahead to where your are going. You will ride where your eyes are aimed. I pondered this as I motored along, thinking we could apply this adage to life in general. Keeping our eyes on where we want our life to go will certainly aid us in reaching that destination. If we always get bogged down in the minutiae of our days, we can forget to focus attention on our goals and end up in a rut. I suppose this could be in conflict with another dictum to which I’ve begun to adhere: Live in the moment. Since I moved to Bermuda a few years ago, where I am surrounded by beauty, where the sun shines almost every day, where life’s pace is just a bit slower, I’ve learned to appreciate almost every minute of every day. Living in the moment is not something I used to do. The old me was a planner and a goal driven achiever. I would barely have achieved one objective before starting another, usually having many projects on the go at once. I always kept my eye on where I was headed. These days, as an author under contract and with two novels in progress, I still plan according to objectives that I hope to achieve. But now I have also become more balanced. Not only do I look ahead, I also appreciate and enjoy what each moment offers. Still, on my scooter, I make sure I always keep my eyes on where I’m headed. How about you? Are you a planner or a live-in-the-moment kind of person?